Over the past three years we’ve experienced a 30% increase in bookings, which has prompted us to take a look at what it is that makes luxury hotel barging such a special experience. And beyond the comfortable cabins, fine dining and glorious excursions we’ve realised that it’s all about taking the path less travelled, and more importantly, the path tailor made to you. We aim to provide unique and immersive experiences, not to mention the gourmet fine dining and fine wines guests are treated to onboard. 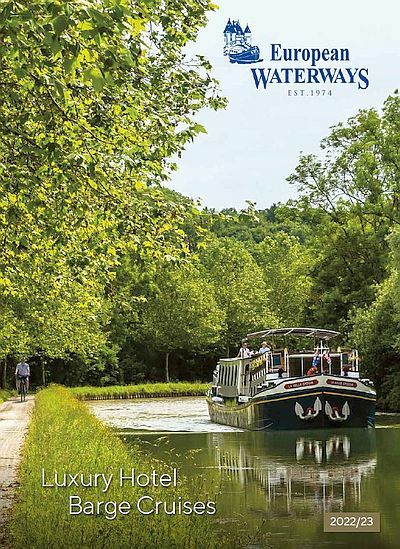 These activities are constantly updated and refined, keeping the European Waterways sophisticated, seasoned guest in mind. From majestic displays of falconry to dining with a baroness at a 12th century Château and enjoying exclusive wine tastings and pre-dinner aperitifs onboard, guests are treated to an unforgettable experience. Our fleet is also attracting multi-generational families and groups who charter the entire barge to themselves to pursue their favourite pastime, whether it is a family reunion, a cycling or hiking club, or wine appreciation society. They all have in common a desire to experience a different kind of holiday that is in direct contrast to the larger river cruises, where one can easily become lost in the crowd. Whether it’s golf, wine appreciation or a special occasion, itineraries can be modified to include more of what groups want. With multi-generational groups, for example, adults can savour gourmet meals prepared with locally sourced ingredients by our on-board master chef, while children can enjoy an informal array of delicious BBQ food. Travelling doesn’t necessarily have to be a group experience, we’ve seen a huge rise in solo travellers over the past three years and are always doing are best to welcome more solo travellers into the wonderful world of hotel barging. The convivial nature of the small barges makes them ideal for solo travellers, with boats holding groups of between six and 20 passengers. The group comes together every evening over delicious food and wine, discussing the day’s events and sharing stories. You can take advantage of no single supplement on over 40 departures in 2019, here.